I typically only make candy during the holiday season. Thanks to Jane Sharrock, though, I have a feeling that will soon change and I'll be making candy spring, summer, fall and winter. Jane Sharrock is the author of 300 Best Homemade Candy Recipes: Brittles, caramels, chocolates, fudge, truffles & so much more. Yes, so much more. I recently received a free copy of the book featuring delectable treats galore for review and cannot wait to make several of the goodies. The step-by-step photos at the front of the book — along with the many tips, Cook's Notes and advice throughout — will help me perfect the candies I choose to try out. The contents page features plenty of options, all divided into categories: Heirloom Candies, Make Mine Fudge, Designer Delights, Farmhouse Favorites and Short and Sweet. Each recipe is also categorized by skill level, making it simple to choose a recipe based on what you are capable of... or how much effort you feel like putting into cooking up some candy on any particular day. 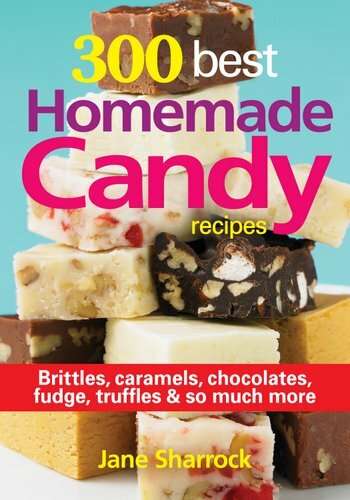 Rather than having you read as I blather on about the goodness in 300 Best Homemade Candy Recipes, the publisher has given me permission to share three recipes — three different skill levels — as well as the mouthwatering photos accompanying the recipes. Dig in! And afterwards, be sure to look for 300 Best Homemade Candy Recipes ($24.95 suggested retail) by Jane Sharrock wherever books are sold. All recipes and photos below courtesy of 300 Best Homemade Candy Recipes by Jane Sharrock © 2014 www.robertrose.ca Reprinted with publisher permission. I first tasted my signature candy in the late 1980s when my neighbor Julie gave me a bag for Christmas. I knew after the first bite that I had to have this recipe. Since then, I have made several hundred batches of this mouthwatering toffee for people all over the country, and almost everyone agrees that it is one of the most delicious and addictive candies they have ever tasted. This buttery, chocolate-topped candy is particularly popular with men, hence the name. 1. Scatter about half of the almonds over the 2 baking sheets, dividing proportionately between the 2 sheets. Reserve the remaining almonds for the topping. Break the chocolate bars into pieces and set aside. 2. In a heavy 3-quart saucepan over medium to medium-high heat, bring the butter, sugar and water to a boil, stirring until the sugar dissolves and the mixture begins to boil. Cook, stirring constantly, to the hard crack stage (300°F/149°C). 3. Remove from the heat. Quickly stir in the vanilla. Immediately pour a thin layer of hot toffee over the almonds on the baking sheets. (The toffee will not completely cover the baking sheets.) Immediately place the chocolate pieces on top of the hot toffee (the chocolate will melt within a few minutes). 4. Using a flat metal spatula or a knife, spread the melted chocolate in an even layer over the toffee. 5. 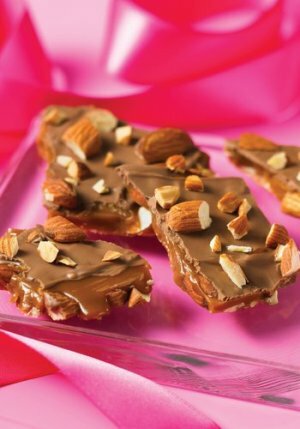 Sprinkle with the reserved almonds, lightly pressing the almonds into the chocolate with the palms of your hands. Let stand until the chocolate is firm. The toffee may be cooled in the refrigerator or freezer, if preferred. Break into pieces. Store in an airtight container at room temperature or in the refrigerator or in the freezer, as desired. Do not store in a container with other candies. This candy is extra delicious when made with toasted almond topping sold in ice cream specialty stores. Remember to use high-quality ingredients because the better the butter, the better the toffee. It takes about 45 minutes to make this candy. The recipe may be doubled and cooked in a 5-quart heavy candy kettle or large pot. At one time, these creamy pastel butter mints were just as essential to a proper Southern wedding as having a bride and groom. Traditionally served in a crystal bowl or silver compote, the mints were placed between the white wedding cake and the equally essential bowl of roasted cocktail nuts. We Southerners have loosened up a bit the past few decades, but not enough to stop loving this old-fashioned candy. 1. In a flat container that can be sealed, combine the confectioner’s sugar and cornstarch, mixing well. 2. In heavy saucepan, bring the granulated sugar, water, butter and cream of tartar to a boil, stirring until the sugar dissolves and the mixture begins to boil. Cover and cook 2 to 3 minutes to dissolve the sugar crystals on the sides of the pan. Remove the lid. Cook at a rapid boil, without stirring, to 265°F (129°C). When the temperature is nearly 265°F (129°C), drop in a few drops of food coloring, tinting the mixture to a light pastel color. 3. Remove from the heat. Quickly add the peppermint oil and turn onto the prepared baking sheet to cool. 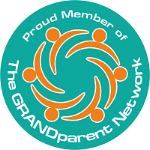 As soon as the candy can be handled, knead by hand until it can be picked up and pulled. Pull or stretch the candy until it is firm. Stretch the candy into a rope about 1⁄2 inch (1 cm) in diameter. Using kitchen shears, snip the rope into 1⁄2- to 1-inch (1 to 2.5 cm) pieces, letting the pieces fall into the confectioner’s sugar and cornstarch mixture. Store the mints with the sugar mixture in the airtight container until the mints soften and become creamy, 2 to 3 days. When the mints have softened, turn the mints and the sugar mixture into a sieve, shaking the sieve to remove the excess sugar. Store the softened mints in an airtight container at room temperature. 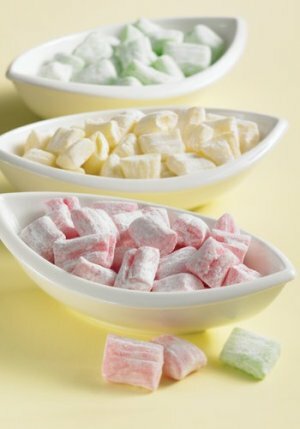 When pulling and stretching the candy, dip your fingers into a little cornstarch to prevent the candy from sticking. A longtime personal favorite, these “little bites of heaven” are worth the time it takes to make them. 1. In a small heavy saucepan over low heat, melt the chocolate chips, stirring until smooth. Remove from the heat. Set aside to cool slightly. 2. In a large mixing bowl, beat the cream cheese with an electric mixer until smooth. Add the melted chocolate, raspberry preserves and liqueur, beating until well blended. Blend in the wafer crumbs, mixing well. Cover and freeze 1 hour to make the filling firm enough to handle. If preferred, cover and refrigerate up to 1 week before shaping into truffles. 3. Working with approximately one-third of the cold truffle mixture at a time, shape the mixture into balls 3⁄4 inch (2 cm) in diameter. Place the balls on the prepared baking sheets. Cover and freeze 1 hour or more. 4. Cover a large countertop area or 2 large baking sheets with waxed paper. 5. In the top pan of a double boiler over hot but not boiling water, melt the chocolate coating, stirring until smooth. Using a toothpick, fork or specially designed dipping tool, dip the frozen balls into the melted chocolate until coated. Drop the coated truffles onto the waxed paper. Let stand until the chocolate is firm.